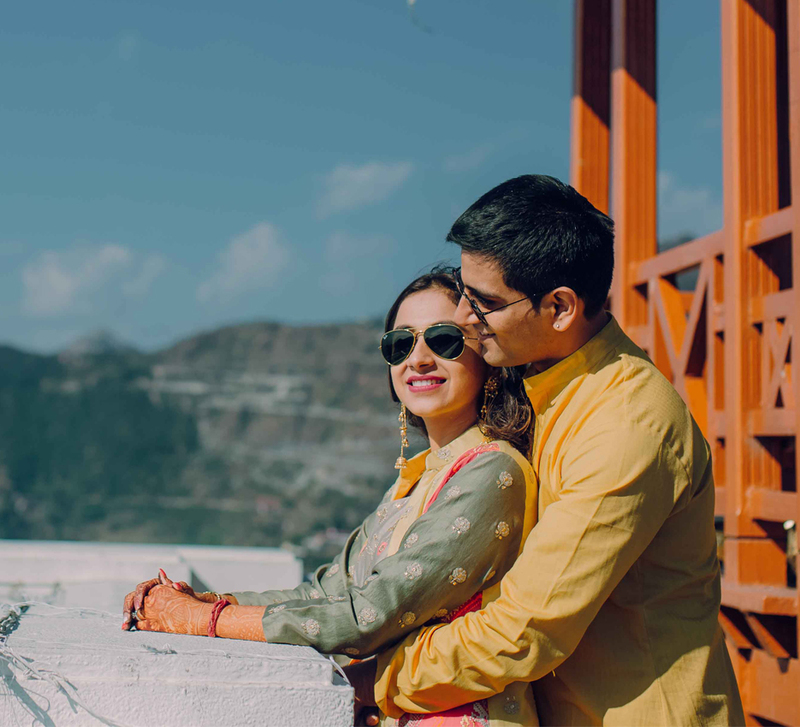 Manisha and Gaurav’s festivities were all about ‘tradition with sunglasses on’ - rituals, romance and a rollicking good time. At the wedding of Gaurav’s sister, a certain wedding planner caught Gaurav’s eye. Little did the two know that one wedding would lead to another! 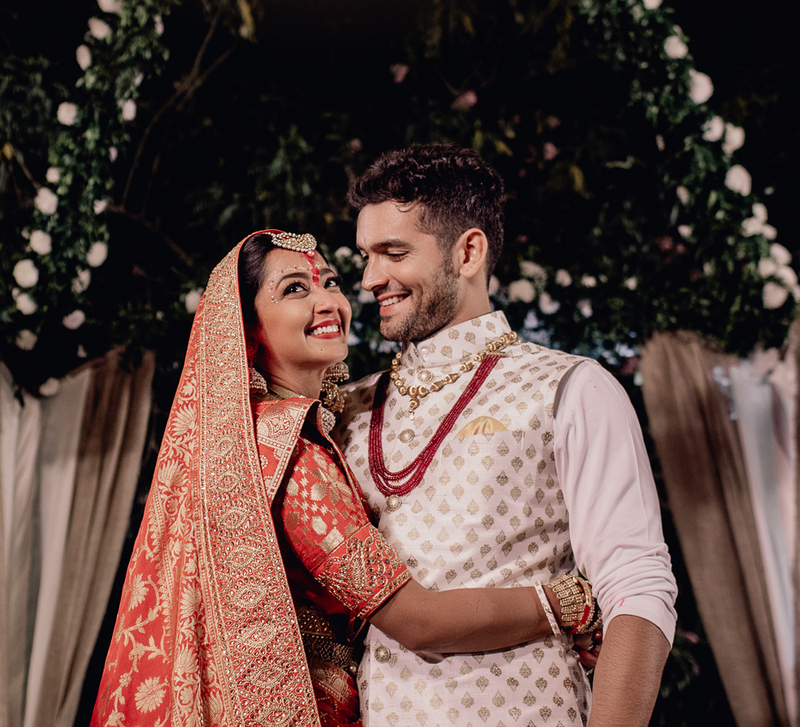 With every spectrum of color and emotion caught on film by WeddingSutra Favorite Knotty Affair by Namit and Vipul, groom Gaurav takes us through the wedding festivities. 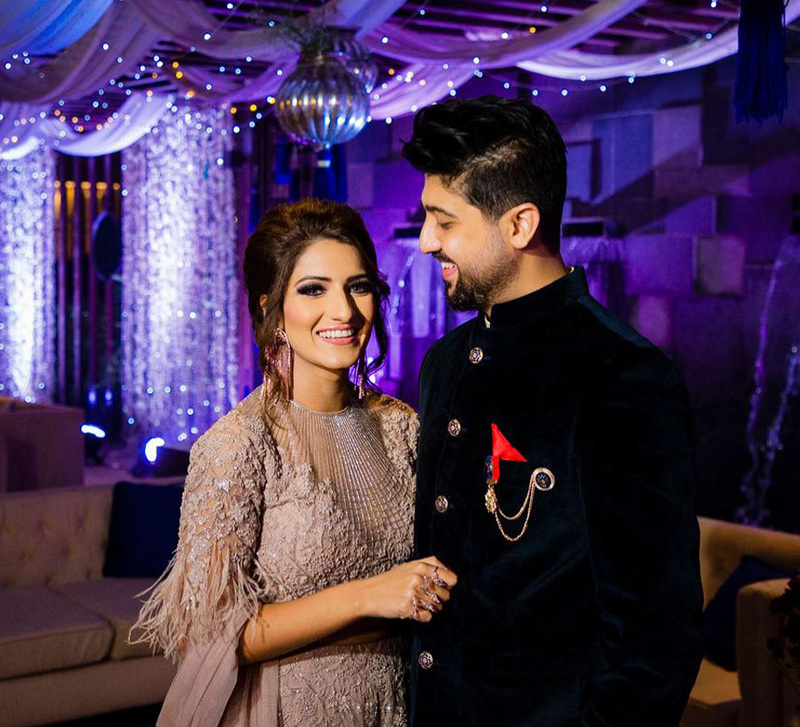 The couple began planning the wedding from the day of their roka ceremony. Every detail of the two-day extravaganza, attended by over 450 guests, was put into place. Manisha managed her dual role of bride/official wedding planner with great panache and a little help from her groom. The couple finalised everything from the overarching themes to the tiniest elements of décor, adding personalized touches as they proceeded. The groom and bride had individual wedding invitation designs which were a showcase of modern elements and traditional motifs. Manisha’s invitation featured florals and stripes combined with on-trend colors - blue, peach, pink and rose gold - for an unmistakably ‘now’ look. Gaurav’s invite used royal Indian imagery - opulent domes, peacocks, lanterns etc, with tints of pearl, blue and green. The mehendi worked that 90s vibe to perfection - multi-colored frames and bright tensile and ceiling structures made for a vibrant environment. On the ground, the fun never set with games, props, nagadas and dhols keeping people playing and dancing right through. Manisha wore a beautiful Abhinav Mishra wardrobe that worked in tandem with the theme. The aim of the sangeet was to transport the guests from the mehendi’s vibrant ambience by day into a foot-tapping fiesta by night. Themed ‘Glitz and Glam’, the sangeet was a starry starry night in hues of black, gold and silver. Featuring energetic performances by family and friends with a DJ who kept everyone on their toes, the evening was a sublime sundowner. Manisha looked ravishing in a silver shimmer lehenga by Papa Don’t Preach by Shubhika while Gaurav looked dapper in an azure blue tuxedo. 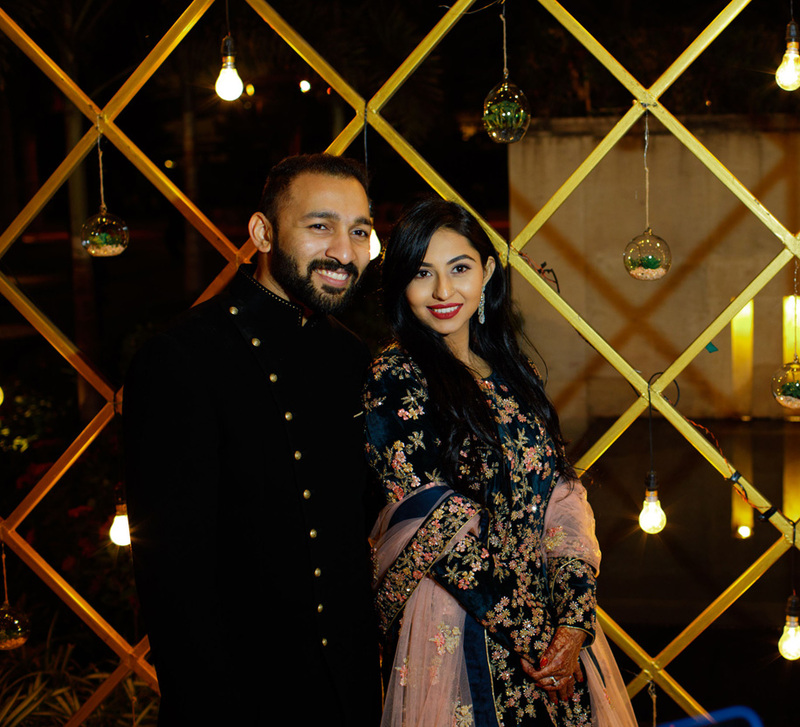 Every moment of the nuptials was planned to perfection by Gaurav and Manisha. The celebrations began with a grand entry by Gaurav, his baraat led by Lalbaugh Dholwalas and a fabulous DJ. This was followed by a breathtaking varmaala ceremony set up at a vantage point overlooking the giant Mughal gardens. The pheras were performed in a peaceful, spiritual environment enhanced by elements inspired by divinity - the 60 ft entrance passage redolent with bouquets of sweet rajnigandha, enhanced by beautiful drapes and Meenakari frames with golden etchings. The mandap’s water fountain was a focal point in the centre of the amphitheatre style seating. With red and gold as prominent colors, diyas and red roses added to the romance.